Dr Meyerhoff joined the Practice as a Partner in 2000, after completing her GP Training at the surgery. She moved to the UK in 1992, initially based in the West Country for a 6 month post and then moved East, where she has settled in Norfolk with her family. Andrea enjoys all aspects of General Practice and has no plans to move again! In her spare time, she enjoys cooking and 'provides first class cuisine' for her family and friends and hopes that her regular swimming keeps the side effects of such great food under control! Dr Tony Ames became a Partner in February 2012, following Dr Jo Gilson's retirement. He wasn't really a newcomer to the Practice, as he completed his GP training at the surgery in August 2011. Dr Ames has a particular interest in Diabetes, Palliative Care and Minor Surgery. He became a GP Trainer in 2015; supervising the development of GP Trainees along with Dr Palframan. 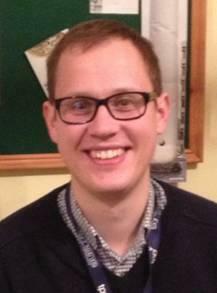 Dr Ames is also our clinical link with one of the larger care homes in the area. In his spare time, he enjoys reading, gardening and spending time with his wife and children. Dr Daniel Wallace joined the Practice as a GP Trainee in August 2012, completing his GP Training before becoming a Partner one year later. He studied medicine at the UEA and worked previously at the Norfolk and Norwich University Hospital. He is a keen footballer, runner and an enthusiastic walker along the North Norfolk Coast, although he also enjoys the challenges of the Cumbria fells. Daniel is married to Laura, a local teacher. Dr Prescott joined the Practice in August 2016 after the completion of her GP Training with us. Having undertaken her degree in medicine at the UEA in Norwich, she completed her Foundation Doctor years at the Norfolk and Norwich University Hospital before starting her GP training, which included attachments at A&E, Community Psychiatry, Orthopaedics and Obstetrics and Gynaecology. 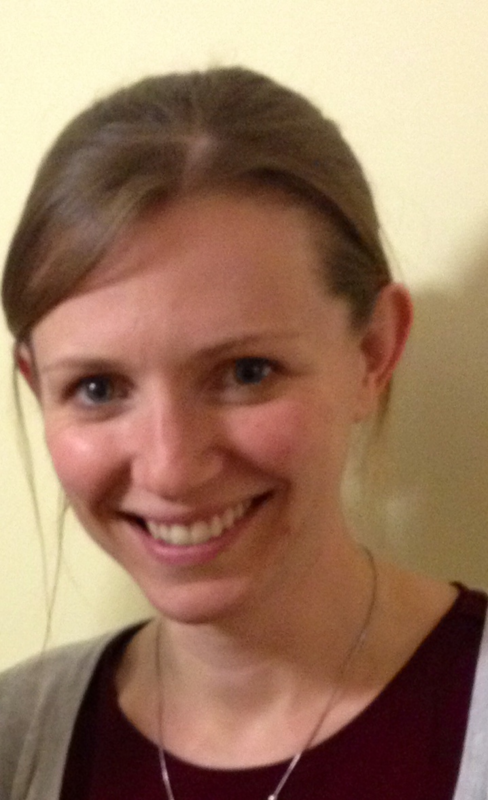 As well as her attachment to our Practice, she also spent part of her training at Bungay Medical Practice. She has a particular interest in Palliative Care and Women's Health and is looking to complete her Diploma in Sexual and Reproductive Health to sit alongside her existing Diploma in Obstetrics and Gynaecology. Out of Practice, Amy plays a range of musical instruments and sings with 'The Norwich Music Group' as well as a quartet in her home town of Northampton. She is married to Sam, a local Accountant. The surgery also hosts Doctors that are completing their training to become GPs. These qualified Doctors may be clinicians, who for example, have decided after a period of time working in a hospital setting, they would like to leave that environment and become a GP. They have joined a local training programme and spend time in our surgery to obtain experience working in a Primary Care setting. At present, we have three Trainees. You may find that they ask if you mind them videoing your consultation with them to support their learning. They are mentored by our doctors who are qualified Trainers. The whole Practice is involved in their training. We also host hospital doctors who have chosen to experience a rotation of their latest training in Primary Care. At the moment, Dr Demi Blair is working with us at the Practice. Ellen Sewell is our new Nurse Practitioner, joining us in January 2018. She, like her predecessor is a registered Nurse with an independent prescribing qualification which she will be using to help manage patients that present at the surgery with a same day need and with the management of their long term conditions. Having spent the last six years working in Accident and Emergency departments at two large hospitals, Ellen is making a switch back to Primary Care where she has a number of years previous experience working in NHS Walk in Centre's, at NHS Direct and a Minor Injury Unit. Ellen has enjoyed her time working in larger hospital trusts in Dartford and more recently in Ipswich, but is now looking forward to heading back to Primary Care and supporting our patients with their acute and on going healthcare needs. Out of work Ellen enjoys spending time in her garden in North Suffolk and with her baking skills will be a strong contender in our next round of the staff 'Heathgate Bake Off'. Catherine joined the Practice in May 2016. She is an experienced Practice Nurse having worked in South Yorkshire Practices and another South Norfolk Practice in Harleston. She enjoys working in Primary Care because of the varying work she undertakes with patients. 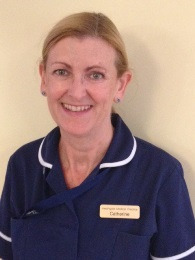 Catherine has vast experience of supporting patients with long terms conditions, particularly COPD (in which she has a Warwick Course Diploma), asthma and diabetes. Her core nurse training was in Sheffield and she spent a little while working in Canada in the early 1980's. She is married, has three children and enjoys spending time gardening, walking her dogs and with her family. We welcome Catherine to the Heathgate team. Sheila joined the Practice in January 2013, having spent a number of years working as a District Nurse for the Community Health Care Trust. She completed her Diploma of Higher Education in Nursing at the UEA between 1999 and 2002 after raising her family. Just after she qualified, Sheila worked at the Norfolk and Norwich Univeristy Hospital in surgical outpatients and stroke rehabilitation. Since joining us she has completed her Asthma Diploma and will be helping manage many of our respiratory patients in the Practice. Sheila lives locally and enjoys spending time with her family. She attends a weekly tap dance class, is an avid reader and enjoys the theatre. She is often heard 'singing' in the corridors of the Practice! Carol is our Phlebotomist. She joined the Practice in July 2015 and is responsible for taking blood samples from patients. 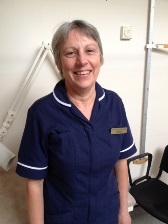 Carol joined us from the Norfolk and Norwich University Hospital having spent over 10 years working there. She is able to take samples from patients who previously have needed, because of their condition, to see a doctor. Garry Whiting is our Managing Partner and is responsible for managing the strategic and business aspects of the Practice. This includes overseeing the services we offer, finance, our NHS England contracts, HR, patient safety, premises, equipment, CQC compliance and IT. 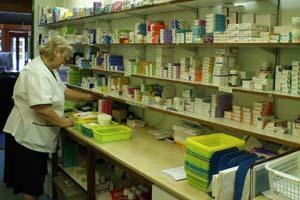 Garry also manages the care budgets that we are now responsible for including hospital spend and prescribing. He co-ordinates our patient participation group. 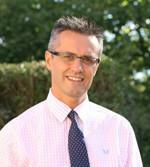 Garry joined the Practice in 2001 after a change in career having previously spent 15 years with NatWest Bank. He lives in South Norfolk with his wife and two sons, who keep him busy with their sporting activities. Garry is a keen runner and belongs to Wymondham Athletic Club, proudly supporting a WAC vest in many of Norfolk's road and beach races. Once again in 2018, he will be running the Great North Run, this time for the Stroke Association. He has recently retired as Chair of Governors at Hethersett Woodside Infant & Nursery School after a 10 year term.